Rhodes (Rodos or Rhodos). Rhodes Island, is one of the most popular holiday destinations in Greece. 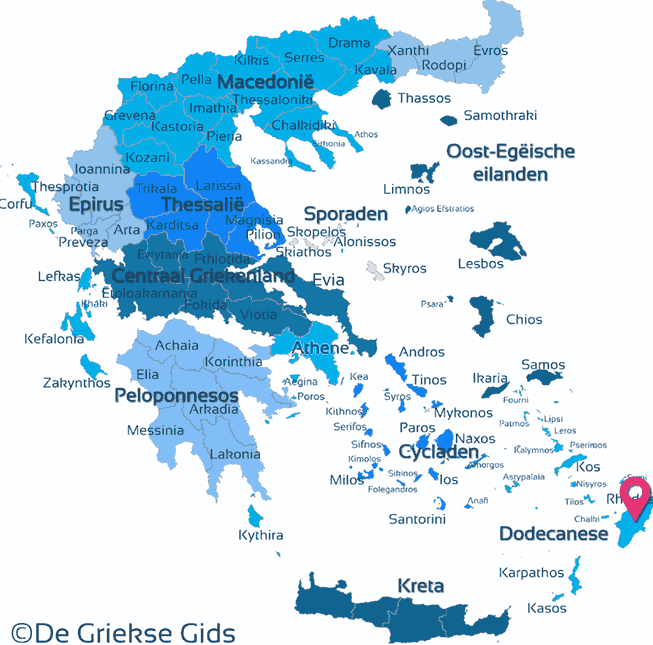 It is the largest island of the Dodecanese and the fourth largest in Greece. Rhodes is located in the southeastern Aegean Sea and covers approximately 1400 km2 (540 sq miles). 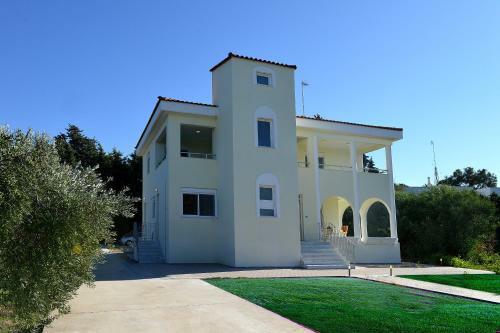 It is a gorgeous island with a beautiful, varied natural landscape of mountains and plains where the surface is covered with vineyards, olive groves and pine forests. 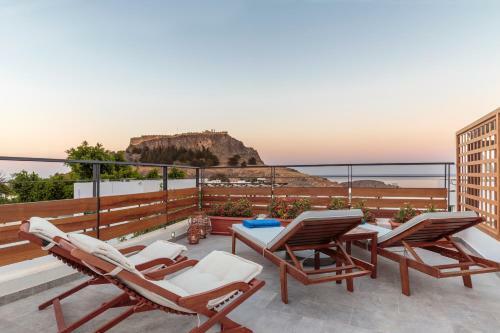 On Rhodes there are dozens of splendid beaches, and hotels and apartments in all price ranges and tastes are available for your accommodations. Rhodes is also very popular for its rich culture and history. It has rich mythical tradition. Rhodes has been inhabited since the Prehistoric period. Since ancient times, the island played an important role in the Mediterranean Sea area’s history. It was part of the Roman and Byzantine empires and from 1306 to 1522 was occupied by the Knights of St. John, a Catholic Order which left it’s mark throughout Rhodes during its 200+ year occupation of the island. After the Knights of St. John left, the island was occupied by Ottoman and Italian rulers. The climate of Rhodes is ideal. The winters are mild and the summers are not too hot, because of the presence of a cool breeze. The capital of the island is Rhodes town. This town is located in the far north, on the top of the island. It is a beautiful town with an impressive fortress, three great ports and excellent, sandy beaches. This town is exceptional because of the knights who came in the Middle Ages. You can still feel their presence because of the walls, towers and castles. These days, the city consists of the old port district inside the walls, where you will see cozy cafes, restaurants, souvenir shops and cobbled streets, and the new town, where you’ll find modern shops and many beautiful parks and historical buildings. Rhodes is an impressive location in the far north of the island. At the first sight you'll be taken by the high castle walls and castle towers that protected the town in medieval times. It is loaded with activity in the summer months. Dozens of cozy streets and squares are home to numerous restaurants, shops, cafes and bars. You’ll taste the medieval atmosphere and rich history as you navigate within the walls. Kalithea was well-known and famous because of its healing springs / thermal baths built during Italian occupation in the 1920s. Here, the wealthy came to partake of the therapeutic powers of the waters. The Moorish architecture still exists from that era and the buildings and flower gardens have been renovated. 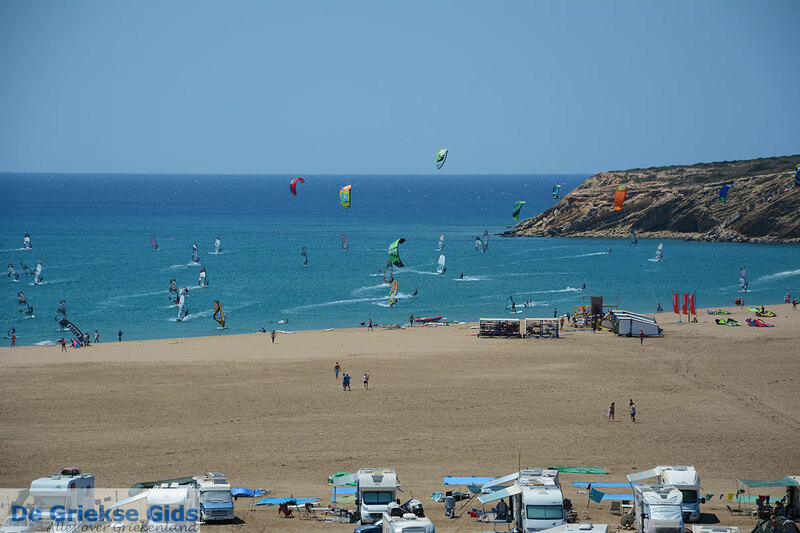 Many tourists come here to swim in the magnificent bays at the complex and enjoy the trendy cafes and beach bars that flank the bays. Faliraki is on the east coast of the island of Rhodes, about twelve kilometers (7 mi) from Rhodes town. It’s one of the most popular resorts on the island. It is like a paradise for youth and families. All along the six-kilometer-long sandy beach, there are large and small hotels and apartments. 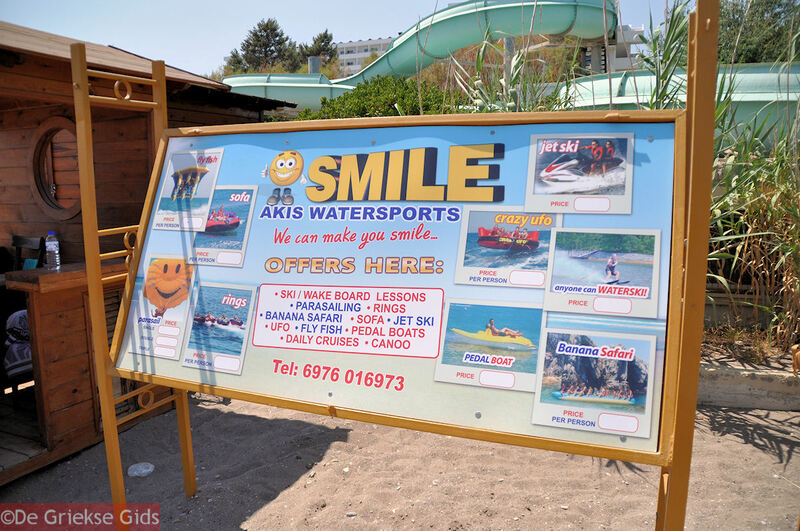 A popular water park of Rhodes is also located here. Behind the beautiful sandy beach in the village are dozens of shops, quaint traditional restaurants, beach bars and cafeterias. Anthony Quinn and Ladiko. 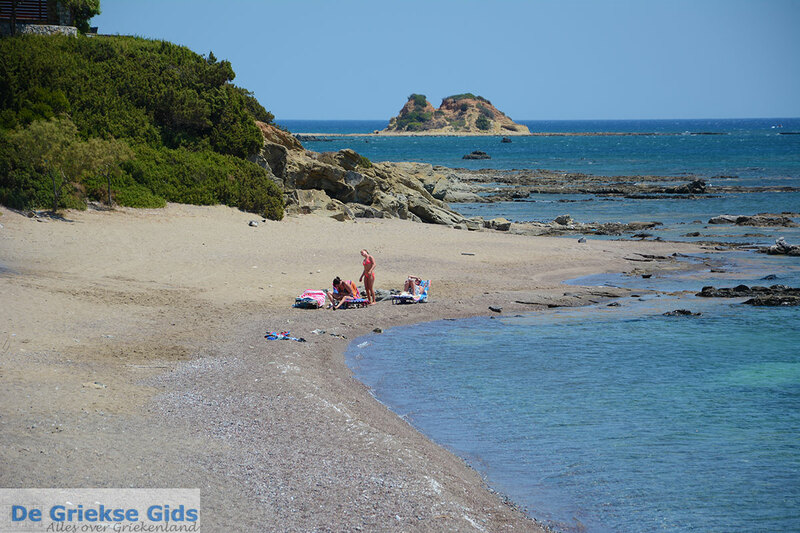 Two of the most famous beaches of Rhodes are the Anthony Quinn beach and Ladiko. 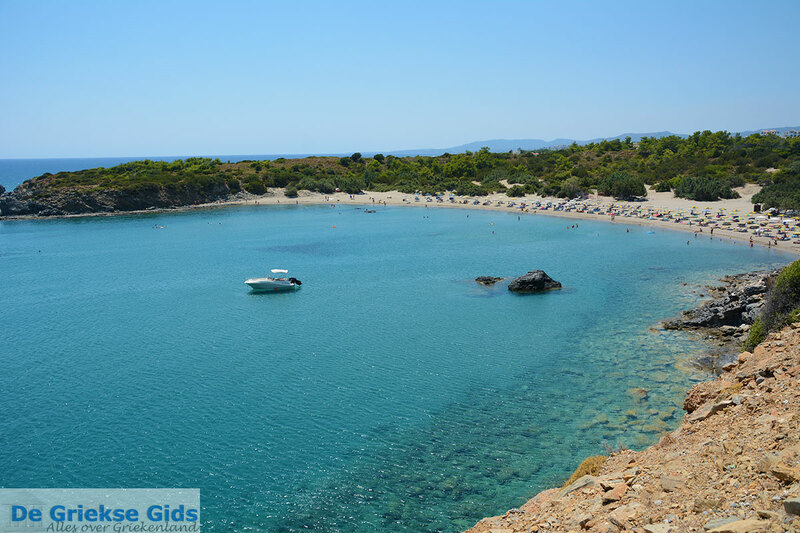 These beaches are located a few kilometers south of Faliraki and are very popular among tourists in the summer. The movie, “The Guns of Navarone,” in which Anthony Quinn played one of the leading roles, was partly filmed in the bay. The beach is accessible by car via the beach or via Ladiko located just next to it. That’s why the beaches of Ladiko and Anthony Quinn are mentioned in one breath. Ialyssos was an important ancient city in Rhodes. It was located on the spot occupied by the modern city of Trianda. Ialyssos was formerly one of the three oldest city-states on Rhodes, along with Lindos and Kamiros. Ancient Ialyssos was strategically located on top of a fortified hill (the Filerimos hill) about 10 kilometers from the current town of Rhodes. Ialyssos was inhabited in prehistoric times. Remains of a Minoan settlement have been found there. These popular resorts are usually referred to in one breath. They are located on the Bay of Trianda, at a distance of six kilometers (4 mi) ) and nine kilometers (6 mi) from Rhodes town. These beaches are mainly gravel-beaches. Both villages are very touristy and offer a number of facilities for tourists. Both locales have many restaurants, cafes, bars, all kinds of shops, car rental companies and supermarkets. Trianda is also referred to by its ancient name of Ialyssos, especially by the Greeks. Filerimos is located in a very scenic, wooded setting. Here, the ancient Acropolis of Ialyssos was located, and you can still see its ruins. In the early Christian period, the church of Mother of God and a baptistery were built here. When the Knights of St. John order occupied the island, they transformed the church into a Byzantine Catholic church and built a monastery. Opposite the monastery is a tree lined road which leads to a gigantic cross. 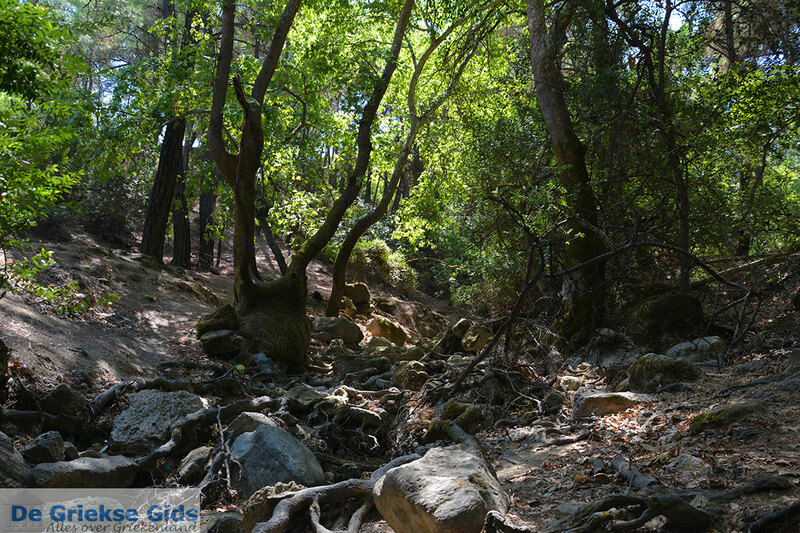 The Seven Springs, or rather Epta Piges, as the Greeks call this area, are located in a cool, wooded and shaded area. It's joyfully cool under the shade of the plane trees where you can have a drink or eat on a terrace. In the green gorge are seven springs and flowing streams which almost never run dry, even in summer. Together, the streams flow into a lake that was previously used to provide Kolymbia with water. Lindos is a picturesque white village, located about 50 kilometers (31 mi) south of Rhodes town. The village of Lindos is a maze of cobblestone streets. The white houses are wonderful to see. In ancient times it was one of the three main cities of Rhodes, along with Ialyssos and Kamiros. In antiquity Lindos was a major city because of its convenient location and the natural harbors that surrounded it. Profitis Ilias is a 641 meter (2,100 foot) high mountain southwest of Rhodes town, located close to Kamiros. It's a picturesque wooded mountain with very interesting sights. Coming from Kolymbia and Epta Piges (7 springs) towards the village Eleousa, first you see the beautiful monastery of Aghios Nektarios. There is a lot of drinkable water flowing throughout the area. In front of the church is a huge ancient plane tree that's hollow on the inside, just like a room. The Butterfly Valley or Petaloudes is the name of a valley on the Greek island of Rhodes, where many butterflies can be seen in the months of June, July and August. Petalouda means butterfly in Greek. A special butterfly species, the Dotted Harlequin, lives in the Butterfly Valley. These butterflies are attracted to the Althsese trees which secrete a kind of vanilla-like resin. Butterfly Valley is a scenic area with streams, waterfalls and bridges. 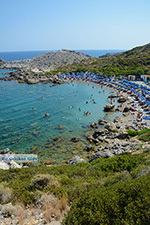 According to many people, Tsambika is the most stunning beach of Rhodes. It lies on the east coast of the island, 26 kilometers (16 mi) from Rhodes town. It is a broad, long, dune-like sand beach surrounded by beautiful, well-covered hills. 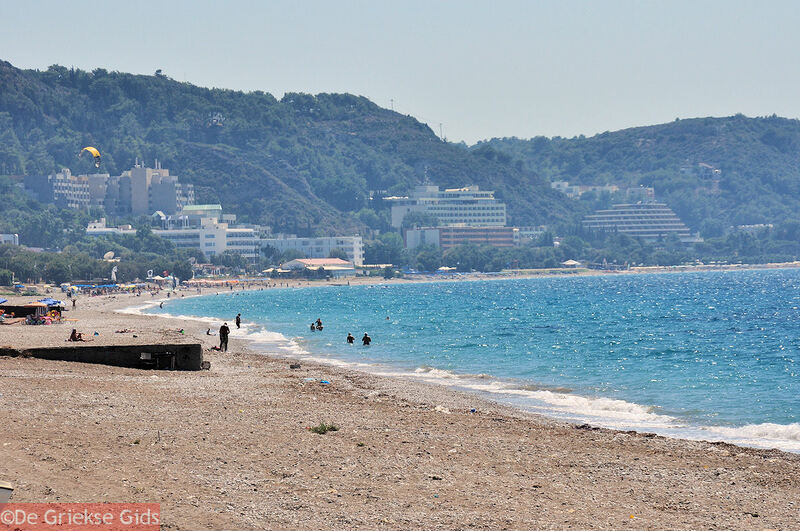 The beach has been given the name of the Holy Mother Tsambika. In the region there are two monasteries dedicated to the Holy Mother Mary, they are called Tsambika. Some believe that prayer in the monastery can enhance fertility. Monolithos is a traditional mountain village, centrally located in the western part of the Greek island of Rhodes. It is located 70 kilometers (43 mi) southwest of Rhodes town, a one and a half hour car ride from Rhodes town. Monolithos is a village located in a green natural area. In the village you will find narrow alleys and lots of stairs. 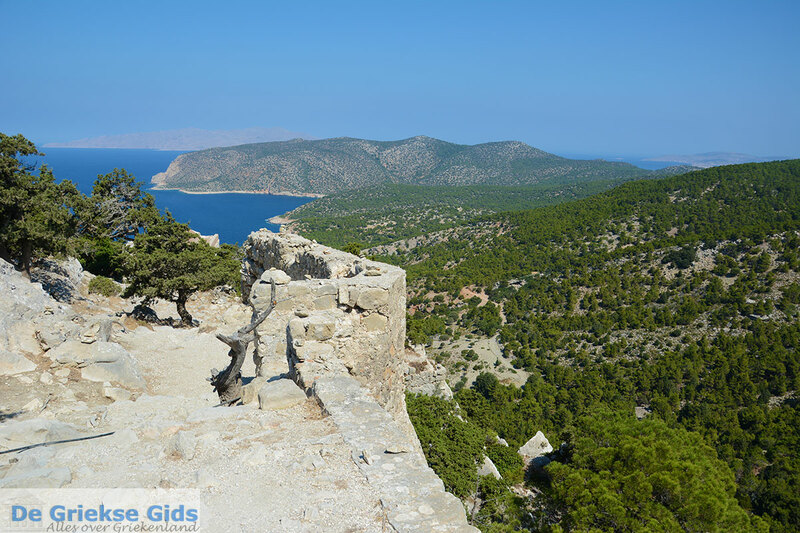 The medieval castle of Monolithos is located a little bit outside the village on top of a large, rocky mountain. Prasonisi is located at the southernmost point of the Greek island of Rhodes, about 90 kilometers (56 mi) from Rhodes town. It takes about an hour and a half or more to travel there by car. It is an island, or rather a peninsula that's very popular during the summer. A narrow strip of sand connects Prasonisi to the mainland of Rhodes. On both sides of the isthmus one can swim at beautiful sandy beaches. Rhodes is an island that you can discover very easily by car, via the good provincial road. The total distance of the entire route around the island is about 185 kilometers (115 mi). If you were to do it all at once, you'll need at least three and a half hours of travel time. The distance from Rhodes town to the southernmost point of the island, Prasonisi, through the west coast is a 107 kilometers (66 mi) trip, or from the east coast, a 91 kilometers (57 mi) excursion. When you take either of these routes, you'll pass through spectacular areas. If you choose to travel through the central part of Rhodes you will encounter curvier, but well-paved roads. Through the central part you will see forested land with lovely trails. Another way to discover Rhodes is by boat from the harbor of Mandraki on the west coast. A boat trip to various beaches, especially on the east coast is a must. Most boats sail to Lindos (a town on the opposite side of the island from Mandraki) and stop at several beautiful beaches. There is a big difference between the northern half of the west coast and southern half of the west coast. The northern half is touristy, while the southern half is quieter. 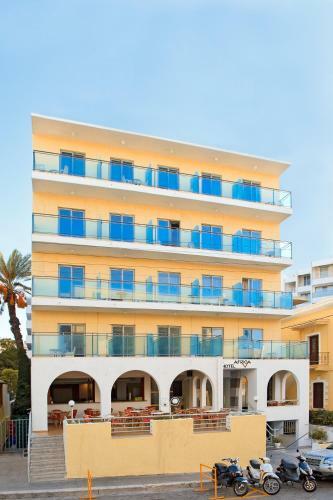 The popular resorts of Ixia, Ialyssos and Trianda are located in the northern part. Filerimos is located in the northern half. Here in a marvelous wooded area are a number of extremely interesting sites from antiquity and the Middle Ages. 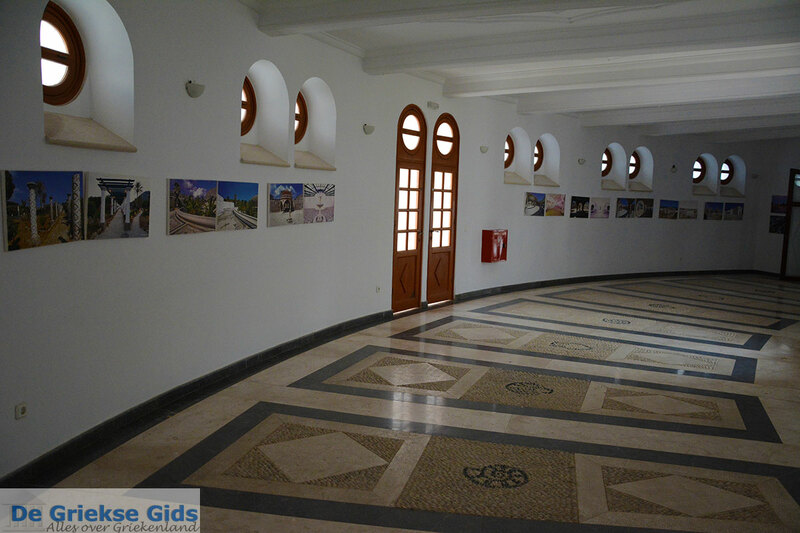 The airport of Rhodes is located nearby between the villages of Kremasti and Paradisi. The southern part of the west coast is less touristy but gorgeous. The further south you go, the quieter it gets. You’ll notice that even on the road. After Theologos, about ¼ of the way down the west coast of the island, where several large hotels and surfing is popular, you approach the ancient Kamiros. In ancient times, Kamiros, along with Ialyssos and Lindos, were the three major cities on Rhodes. Fifteen kilometers (9 mi) south along the west coast lies Skala Kamiros. Likely, in ancient times it was the port of Kamiros. Skala Kamiros is a small port from where daily boats sail to the island of Halki. When you drive further south, you go into a mountainous region. Here, the pine forests are stunning. The next village you pass is Kritinia, idyllically situated on the slopes of a mountain. A little further, at the T-junction, turn left to Embonas, a traditional village located at the foot of Attaviros, the highest mountain on Rhodes. South of Embonas is the village of Siana, where honey is produced, and a little bit further the village of Monolithos. In Monolithos you see traditional shops, which mainly sell honey. Two kilometers further, however, is the major attraction of the village, the castle of Monolithos, standing on a high rock. The area south of Monolithos is less woody. This is where you find the villages Apolakkia and Kattavia. Here, you’ll find long dunes next to the sea. Cedar trees dot the area. The southernmost point of Rhodes is the peninsula of Prasonisi, one of the absolute highlights of Rhodes. Wide, long beaches border either side of the narrow strip that connects the mainland with the peninsula. 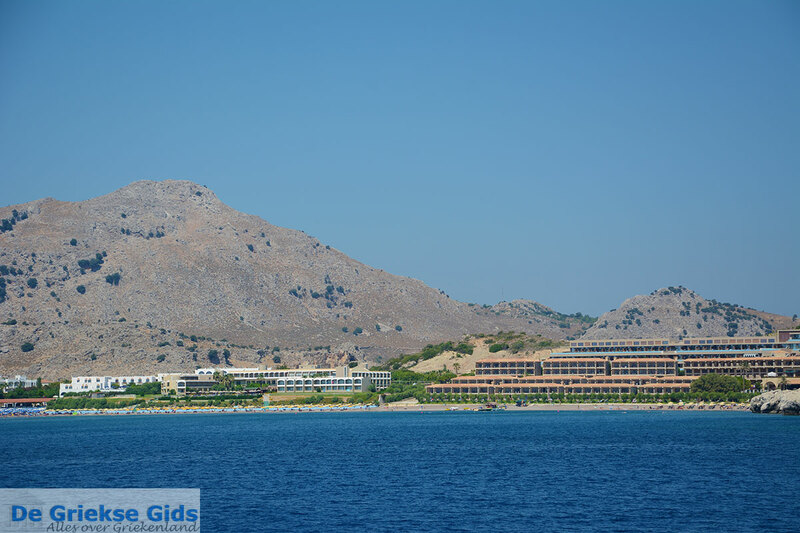 When you drive from Rhodes town to the south along the east coast, first you'll pass the major port and the new marina of Rhodes town, followed by dozens of stunning beach resorts, each one more beautiful than the other. 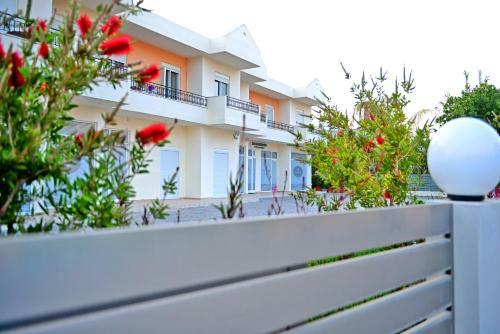 Kalithea is the first resort that you come across, followed by touristy destinations such as Faliraki, Anthony Quinn beach, Ladiko, Traourou, Afandou and Kolymbia. After Kolymbia you come to a road where the exit to the monastery Tsambika is indicated. This ancient monastery is perched on top of a mountain. It is more than worth the effort to walk to the monastery and from there another 300 steps to the peak. The setting is splendid and the views of a large portion of the island are incredibly picturesque! Visible from the monastery, toward the south, is Tsambika beach, which is considered by many to be the most beautiful beach on Rhodes. South of Tsambika is the traditional village of Archangelos and the beaches of Charaki and Agia Agathi which are located close to each other. These two beaches attract thousands of tourists in the summer months. 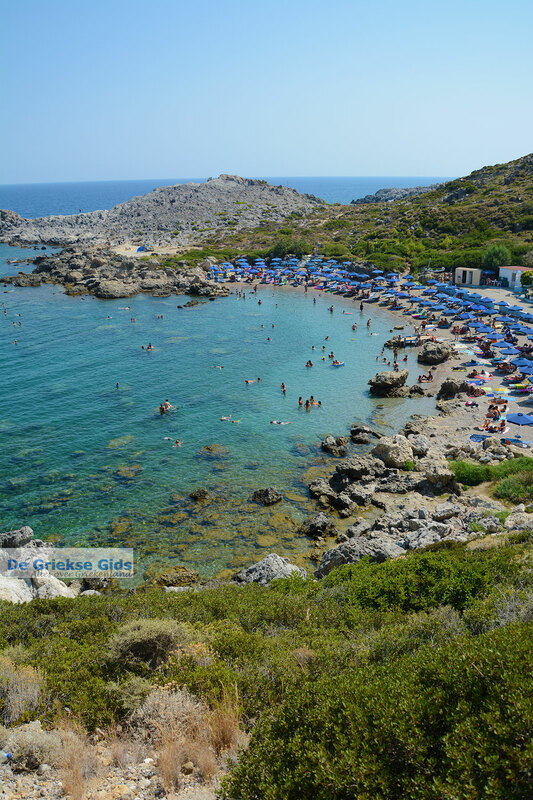 Agia Agathi, also known as Golden Beach, is one of the most popular beaches on the island. Two kilometers (just over 1 mi) from Agia Agathi lies the Feraklos castle and a little bit further the small resort of Charaki. 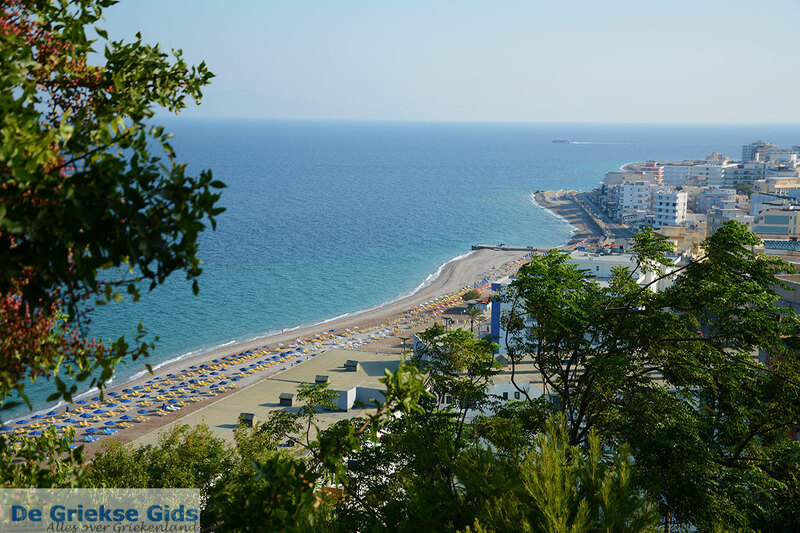 Charaki is a nice seaside resort in a small bay where hotels, apartments, many restaurants and cafes are situated near the beach. Beyond Charaki is Kalathos, where all kinds of large and small hotels are located. After that you arrive at Lindos. Lindos is a picturesque village with whitewashed houses built against the slopes of a hill. There are several beautiful sandy beaches here. In ancient times, Lindos was well-known for its Acropolis. The beach of Aghios Pavlos, which lies on the other side of the rock and in ancient times was the second harbor of Lindos, is magnificent. Very nice beach resort locations lie to the south west of Lindos: Pefkos (5 km or 3 mi), Lardos (11 km or 7 mi) and Kiotari (19 km or 12mi). 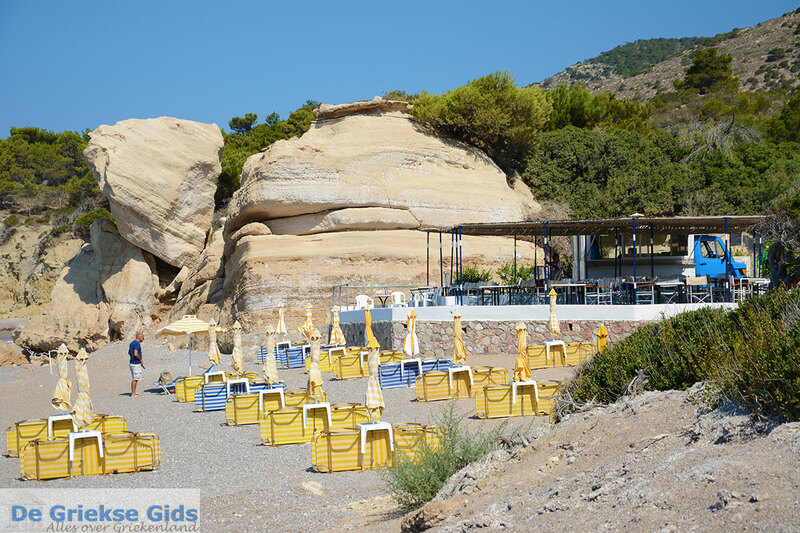 Continuing south, as you near the southern tip of Rhodes, near the village of Kiotari, you‘ll find Gennadi and its beach. During the summer, big beach parties are organized here. 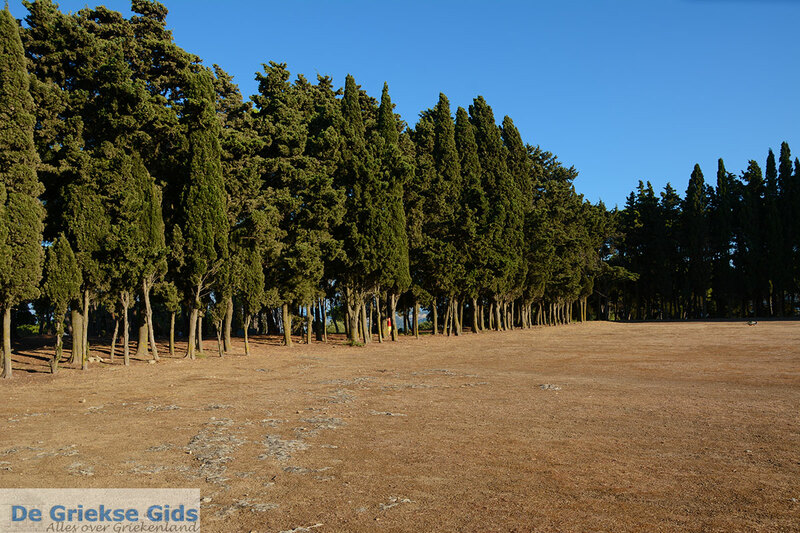 Glystra, a very nice beach near Kiotari, is surrounded by sand dunes, cedar trees and fir trees. Rhodes: Where on the map is Rhodes located?